Alexandria Ocasio-Cortez is running for Congress to create an America that works for all of us—not just the wealthiest few. Alexandria Ocasio-Cortez is a bold and inspirational progressive organizer and working-class millennial who will be the first woman of color to represent this district in the Bronx and Queens. NY-14 is one of the most progressive districts in America, and we deserve to be represented by someone who will fight for real change like Medicare-for-all and abolishing ICE, not someone who will deregulate Wall Street banks, or favor the luxury developers pricing out our families from the neighborhoods we’ve lived in all our lives. 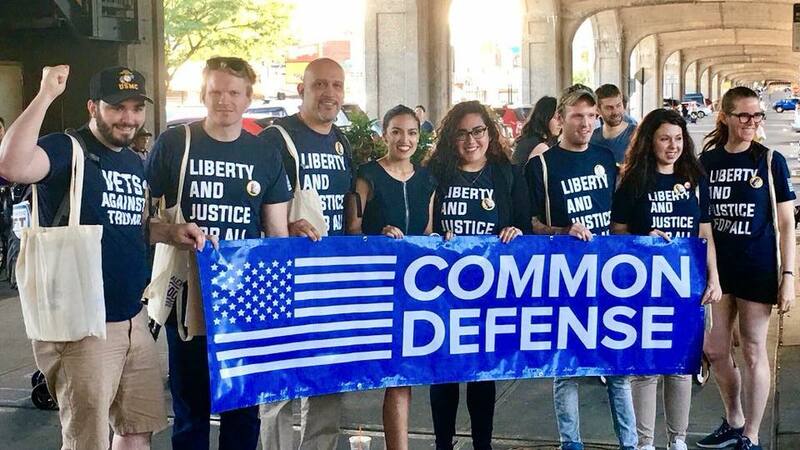 Common Defense was one of a very small group of grassroots organizations that endorsed Alexandria Ocasio-Cortez before the primary election and helped her pull off one of the greatest political upsets in modern history by defeating incumbent Joe Crowley, one of the most powerful Democrats in Congress. Crowley hadn’t faced a primary challenge in 18 years and raised millions of dollars from Wall Street and corporate PACs. We proved that big money can’t buy elections when you run a determined grassroots campaign, powered by everyday people. 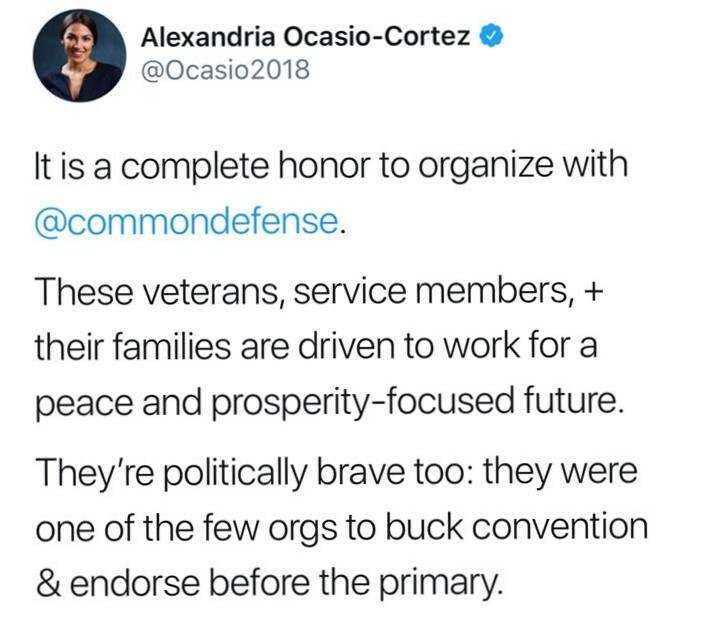 Join the veterans and military families organizing in New York to elect Alexandria Ocasio-Cortez! After studying, Ocasio-Cortez returned to the Bronx and began to pursue work in the areas that had impacted her own family growing up: education and community organizing. As an Educational Director, she worked with promising high school youth to expand their skill-sets in community leadership and social enterprise. She also piloted projects to help improve skills in childhood literacy in young children and writing for middle-schoolers in the Bronx. Alexandria understands the real needs of working class New Yorkers, and knows the policies necessary to achieve (truly) affordable housing, healthcare, and education for all. In the wealthiest nation in the world, working families shouldn’t have to struggle. It’s time for a New York that’s good for the many.